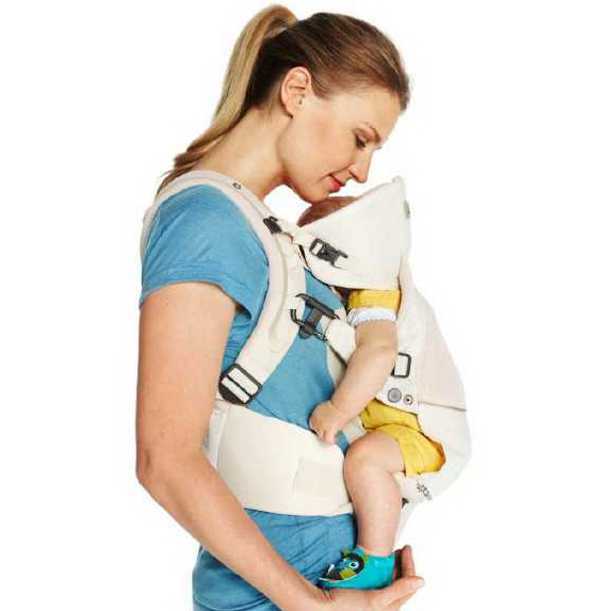 If you thought this brilliant three-in-one carrier from Stokke couldn’t get any better – we have news for you. We have the latest on a new carrier in the range – aimed at keeping baby and wearer cool – plus a new colour and new accessory for the original MyCarrier! Since the launch of the Stokke MyCarrier last year, the savvy minds at Stokke have been working on more concepts within their three-in-one baby carrier range. What they’ve come up with has been worth the wait. Stokke has just launched the MyCarrier Cool, which is designed for warm days, or for quick-paced walks where both the wearer and baby might get a little hot under the collar. It’s made of 3D mesh fabric, which draws heat and moisture away from both bodies, while allowing air to circulate and keep the heat at bay. 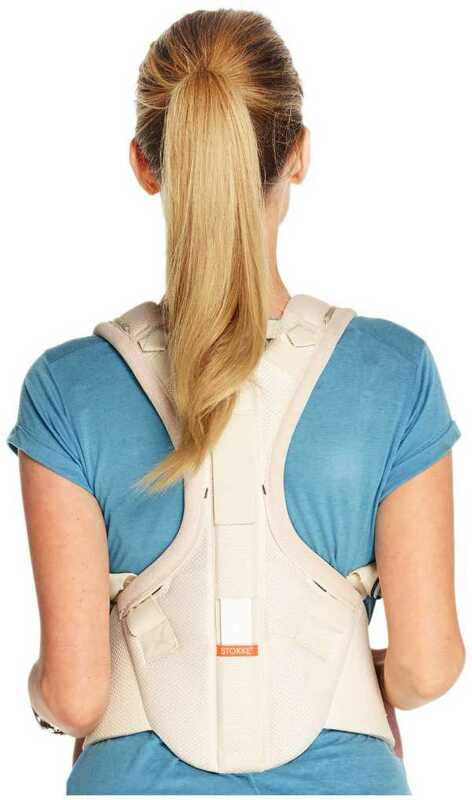 The MyCarrier Cool has all of the benefits of the original MyCarrier – it’s multi-functional and ergonomic for both the wearer and child. Although the most important aspects of a baby carrier include the safety and comfort – of which Stokke ticks all of the boxes – being stylish doesn’t hurt either. 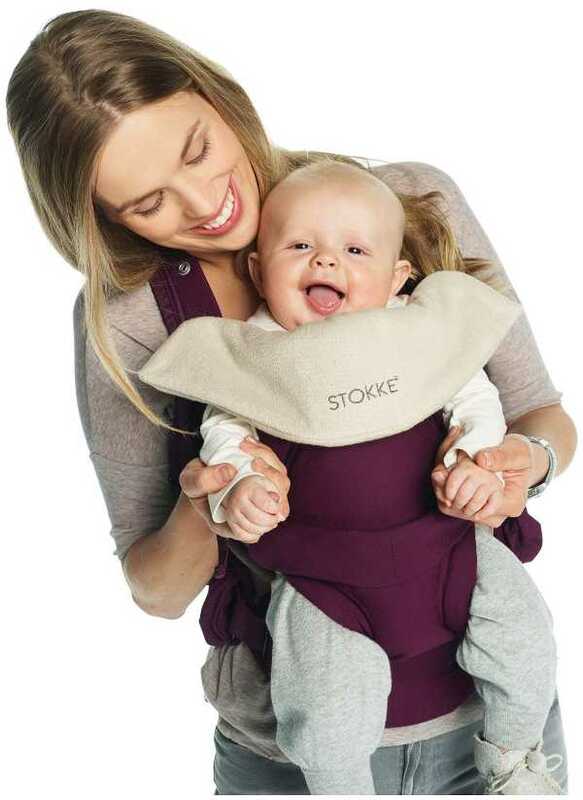 And Stokke have just released the latest colour in the range, an eye-popping purple. 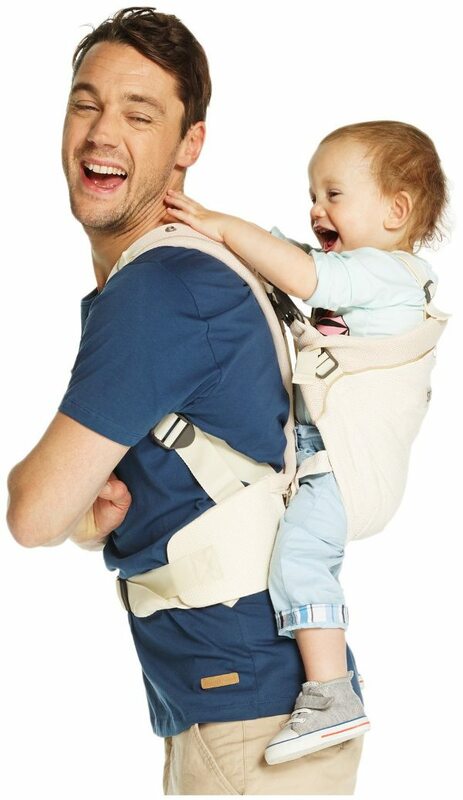 Also available now is a bib for the MyCarrier, which is made from Oeko-Tex terry cotton. The Stokke MyCarrier Cool and MyCarrier in purple are available from Minimee for $269.99 each.